Are you the kind of person who has more dog photos on your phone than of your family? Do you try to capture every ounce of cuteness your dog offers throughout the day? Do you just love taking pictures of dogs whenever you can? Then this article is for you shutterbugs! Today we’re chatting about some tips and tricks to to help you get published as a professional dog photographer. Getting your work published professionally as a dog photographer is challenging due to the competitive nature of the field. You need a strong portfolio, a unique dog photography shooting style, extensive knowledge of the magazines and platforms you want to be published in and lots of passion. However there are some simple things you can do to make your work stand out from the pack of other dog photographers trying to get their work in print or featured online. What Makes a Professional Dog Photographer? Don’t let the term professional dog photographer intimidate you! Every photographer on the planet started as somebody who just loved to take photos for fun. In order to establish yourself as a professional dog photographer who will be considered for publication by media outlets, be sure you have an easily viewable portfolio to showcase your best work. Have a clear business title that identifies your work as that of a photographer’s rather than just a hobbyist. 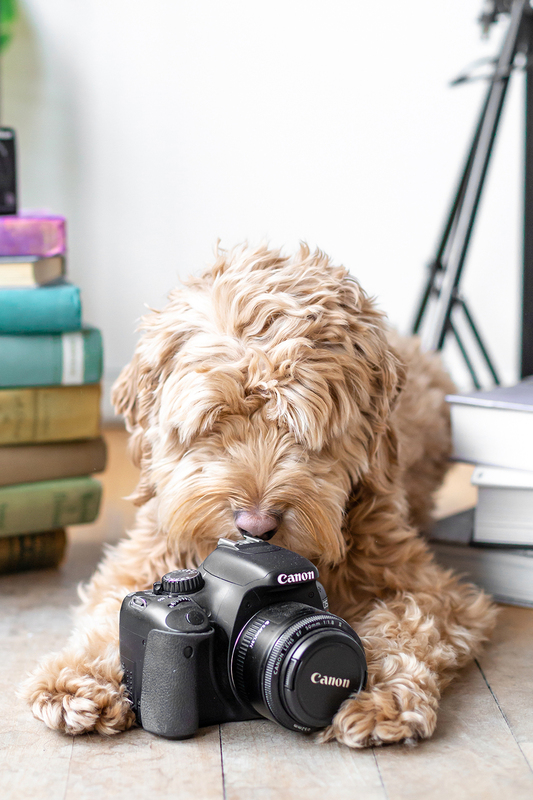 And lastly take photos of dogs beyond your family to start building a client experience (be sure to have an owner’s permission to photographer their dog first of course). As mentioned earlier, a photography portfolio is invaluable when it comes to showing editors your best work. A photography portfolio can be a website set up with galleries, a well curated Instagram account showing your work or even a beautifully designed PDF. When creating your portfolio be sure to edit it well to keep it organized. Consider organizing your pet photography portfolio by sessions, where you show shoots in their entirety or instead organize it by your favourite shots of all time to create more of a highlight reel. Whichever direction you create your portfolio in, remember that less is best. Make sure you know who you are pitching to. Research the editor’s name, the subject matter of the magazine, their editorial calendar (if available), their preferred submission methods etc. Most publications will have their full submission guidelines present on their site. If not, you can write in to request them. Once you have these, be sure to follow them to a tee! This will make the editor’s job easier and therefore your pitch more likely to standout in their eyes. Keeping the animal’s well being always as the highest priority, get creative with your shooting style. As much as dog photography is an adorable medium, it takes more that cute puppy dog eyes to make a submission for publication jump out to an editor. Get imaginative with your shooting locations, your shooting style, your pet photography props, the story behind your dog portraits etc. Remember that you are an artist and as such your dog photography work has the freedom to be artistic and unique. 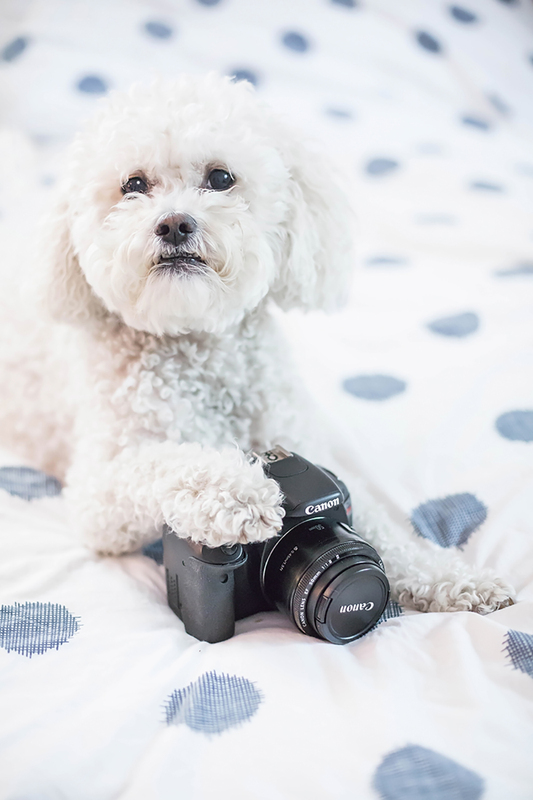 It is a misconception that there is a best camera for pet photography work. The truth is that any camera can produce compelling portraits when in the hands of somebody with a vision and artistic skill. Dog photography is about your eye, your approach to working with dogs, your style and the emotion that your dog portraits evoke from the viewer. Don’t mention your camera equipment when pitching a dog magazine for publication — it’s dry and rather boring. Instead focus on sharing the inspiration of the shoot, the story behind the images, the reason your photo session is special. Sharing the backstory and how that relates to the visual story can be magical in a pitch. Magazine editors are extremely busy individuals, fielding countless submissions for publication every day. Be mindful of this quality when waiting for a response to your submission. Once again, it is valuable to consult a magazine’s submission guidelines, as those will usually contain a suggested wait time for feedback on your submission. Having this knowledge in your back pocket will empower you during the waiting period. As we live in a digital age, having polite access to editors is relatively easy. Follow the pet magazines you admire and would like to be published in on social media. Engage with their accounts by commenting meaningfully on their content and supporting their pieces. Use their hashtags (if they have a custom one) when you post about your work to get it in front of the staff’s eyes. For example, Pawsh’s hashtag on Instagram is #pawshness. Be genuine in your interactions and build a relationship with the publication in question so when you formally pitch a publication you have a rapport to build upon. Joining a dog photography club can be beneficial on multiple levels. 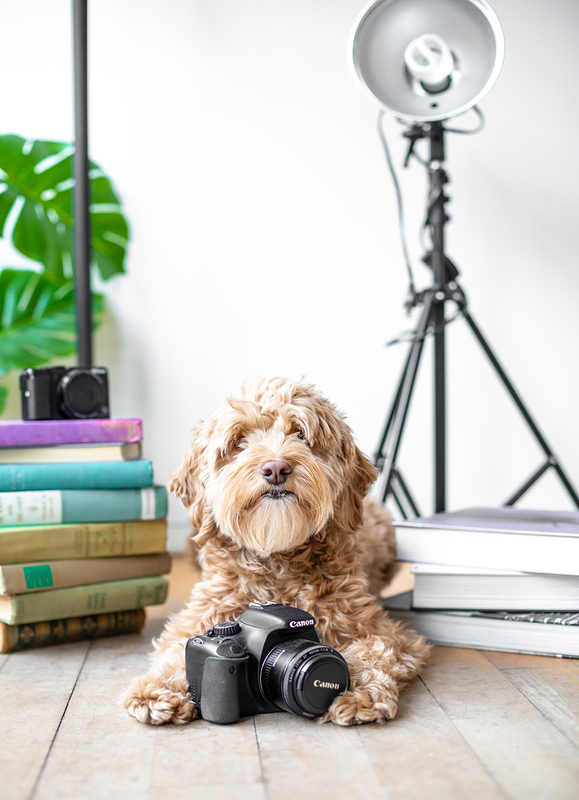 It allows you an opportunity to have your work be peer reviewed, you have an opportunity to learn from other dog photographers and in some cases you have access to publication opportunities as well! Here at Pawsh we run a program called the Pawsh Photo Pack, an initiative designed to help support and nurture imaginative dog photographers while providing a platform for them to regularly showcase their work. There are lots of organizations, clubs and programs available to help pet photographers of all levels improve their craft. Being a published dog photographer is a challenge. However, it is not an impossibility and by activating some or all of these suggestions, seeing your work featured in a print or online magazine is a dream that can become a reality.